It seems that everyone with a home, and a mortgage, is talking about the unbelievably low interest rates and the potential refinance opportunities available right now. With 30-year fixed mortgage rates recently dipping into the 3’s, even those homeowners with rates in the 4’s are beginning to wonder if refinancing (again?) might make sense. So how do you truly determine if a refinance makes SMART financial sense for you? Traditionally people have followed a “1%” rule. This meant that if you could lower your rate by 1% or more, you should refinance. Still others (many banks, credit unions, and other lenders) preach a simple, though somewhat naïve approach of dividing your closing costs by the monthly payment savings to determine how fast you’ll break even from a refinance. This means that if you spend $4,000 to refinance your mortgage and save $100 per month, you break even in 40 months. The homeowner can then decide if they’ll live in the home longer than 40 more months, it makes sense. But what is missing here? To be honest, quite a bit. Here are 3 critical questions we help our clients answer before advising to move forward (or not) on a refinance. What are your key objectives with the refinance? Are you trying to save money for other things, pay off your mortgage faster, or consolidate other debt? Given the above example of simply calculating your break-even point, what does it look like if you apply that $100 of monthly savings to your new mortgage, ultimately paying it off 7-10 years sooner? What if you save the $100 in a college fund for your 3-year old child, earning 7.0% for the next 15 years? What if you are suddenly able to pay off a high-interest credit card twice as fast using the monthly savings from a refinance? Understanding your objectives with refinancing, and the savings it will bring, will help in your decision to move forward or not. How long do you expect to have this mortgage? As mentioned above, it IS an important question. If you plan to move in three years when the kids leave for college, and your break-even is four years…refinancing may not make sense. On the other hand, a true break-even must take into consideration the tax impact as well as the “mortgage holiday”. Certain costs of refinancing may be tax deductible the following year(s). In addition, there is no mortgage payment due the month following the closing of your refinance. At Aspire Mortgage Group, we have a custom Refinance Break-Even Analyzer, designed by financial professionals, to help correctly calculate the break-even. And it can be surprising how quickly a homeowner can actually recoup the costs (IF there are any). What other loan options or rate/fee scenarios might make sense? 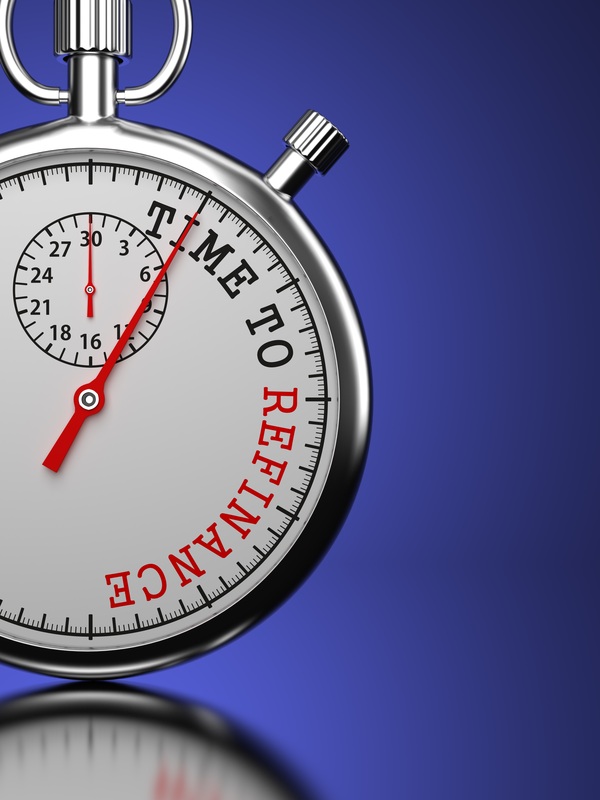 These days, many homeowners are taking advantage of no-cost refinances. Done correctly (and honestly), this literally means no closing costs or fees are charged to you or added to your new loan. This may mean even reducing your interest rate by .25%, with no costs, can make sense. Still others are switching to a 15-year or 20-year mortgage, at a much lower rate, with a goal to pay off their home much faster and be debt-free in retirement. We recently helped a client with 25 years remaining on their mortgage, refinance to a new 15-year mortgage at a lower interest rate. The long-term benefit is a $104,000 to their net-worth over the next 15 years. Many homeowners are also recognizing the value of a “same-pay refinance”. This means you refinance your 30-year fixed mortgage to a new, lower rate 30-year fixed mortgage, but continue paying the same amount each month. This is perfect for homeowners who are comfortably making their current payment, and fear starting the full 30 years over, but would like to take advantage paying less interest. With this strategy, we show you how to incur no change to their current cash flow, while enjoying the opportunity to pay off your mortgage years sooner! These questions, and a thorough analysis of your current situation and goals, can all be determined in a 10-15 minute consultation. Only two results are possible: you gain peace of mind that you are already in the best position and there is nothing more to do…or you find a new opportunity to save money and improve your financial future. This entry was posted in 3 Questions to Help You Decide if Refinancing Makes Sene and tagged debt management, developing a plan, financial planning, home loan, increasing fiscal literacy, investments, money, Refinancing, saving money. Bookmark the permalink.